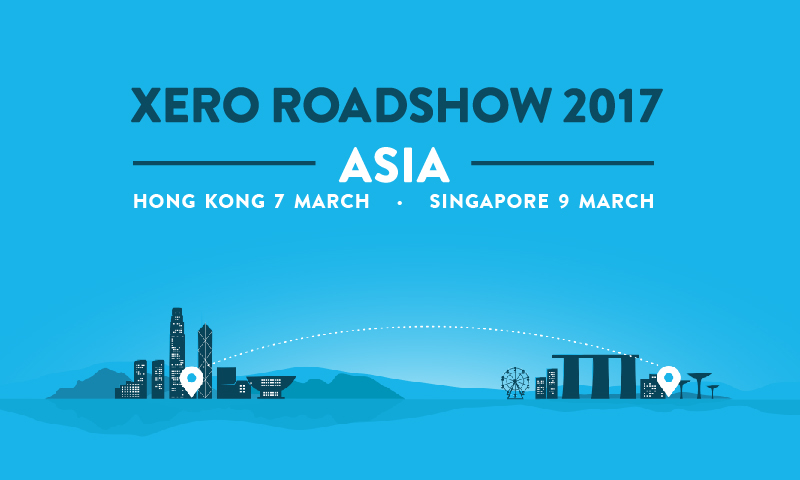 Xero Roadshow Asia 2017 is an inspirational full-day event in Hong Kong (7 March 2017), Singapore (9 March 2017) for small businesses and accounting/bookkeeping practices. – Learn how easy it is to convert to Xero cloud accounting and join over 500, 000 Xero Users Worldwide! Registrations are at no charge, and are open to your staff! We are so excited to share our experiences and help overcome the challenges facing our industry. We hope to get you and your team thinking about how your firms purpose and services will assist your clients in the future. Join Rod Drury (CEO & founder), Alex Campbell (Managing Director – Asia), Oliver Furniss (Global Product Marketing Manager), Anthony Staltari (Partner Consulting Director) and many more on the 7th of March Hong Kong & 9th of March Singapore.